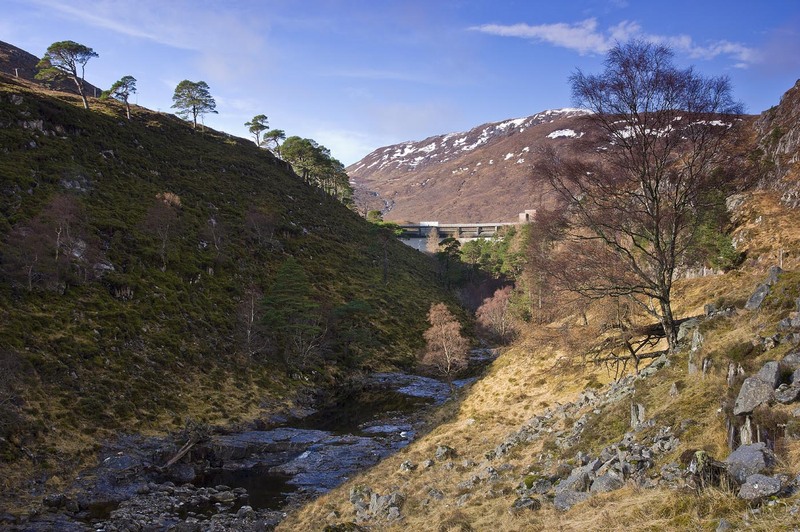 Monar Dam provides the main storage for power stations in Glen Strathfarrar, including Culligran. Planners placed all the glen’s stations underground in order to preserve the area’s scenic beauty. To help it blend in, Culligran’s entrance is covered in stone dug from its turbine chamber. Culligran power station receives water via a tunnel from Loch Beannacharan and discharges into the River Farrar. Monar dam’s ‘double curvature’ design is rare in Britain and the first built in the country.